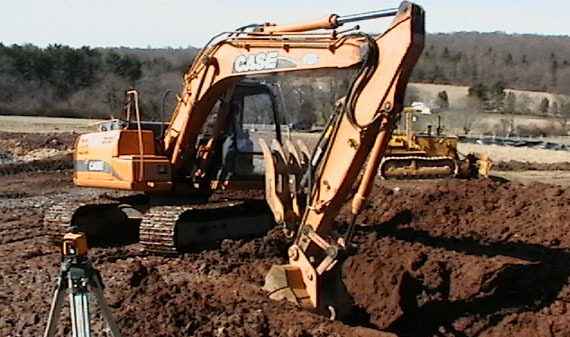 Rinaldi Excavating was founded in 1986 and has since specialized in providing excavation services for small to medium sized jobs in and around the Hunterdon, Somerset, Morris and Warren counties of New Jersey. 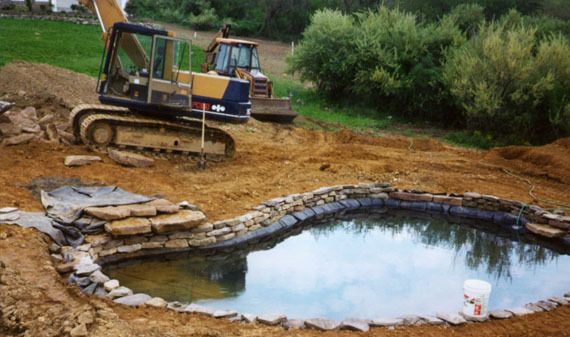 Rinaldi Excavating has installed hundreds of septic systems in the central NJ area. We are experienced in all types of systems including; Pump, Mound, Gravity and Fill Enclosed. We pride ourselves in providing quality workmanship at a reasonable price. Large Rock retaining walls are a specialty of Rinaldi Excavating. 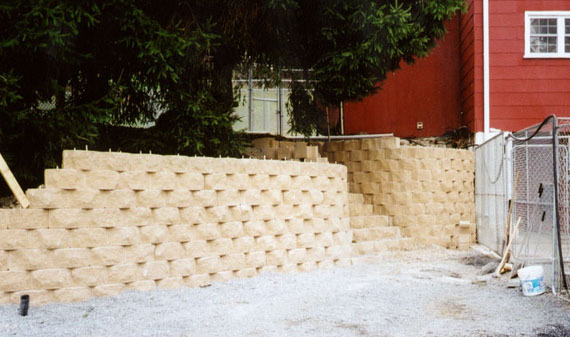 We have a large amount of expertise in leveling and shelving land using Large rocks to create retaining walls. In most cases the rocks used for these projects originate from the property itself. We also stock our own rocks or can obtain rocks from multiple sources. 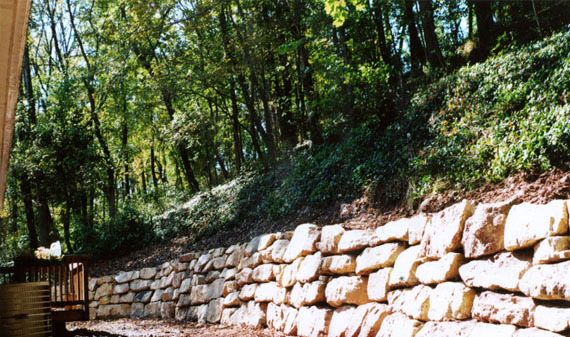 Large Rock retaining walls are a specialty of Rinaldi Excavating. We have a large amount of expertise in leveling and shelving land using Large rocks to create retaining walls. Please view our photo gallery to see examples of our work. 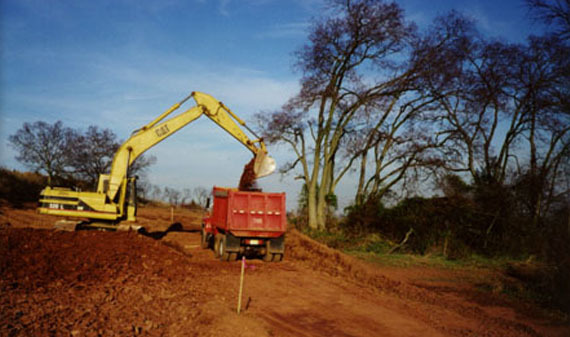 We are experienced in all types of commercial and residential foundation excavation. Block, prefab, poured, and styrofoam are the methods most employed in central NJ. 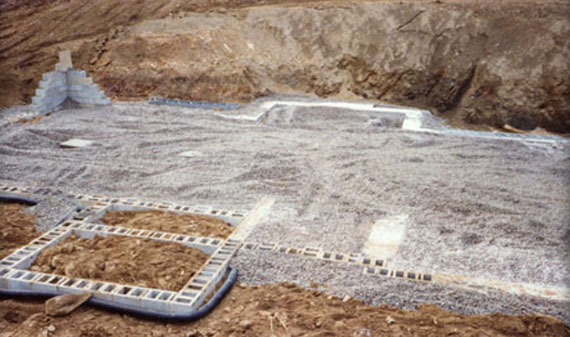 We are experienced in the different types of preparation & backfill methods required for each different type of foundation. We can help with earthwork to correct drainage issues. From foundation drains to large reinforced concrete pipe, we have the expierience to solve your drainage needs. Leader drains, french drains, curtain drains & swales all can help solve water problems. Drywells are becoming more prevalent in central NJ and we have extensive experience in installing them.